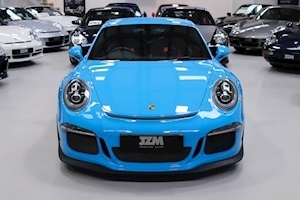 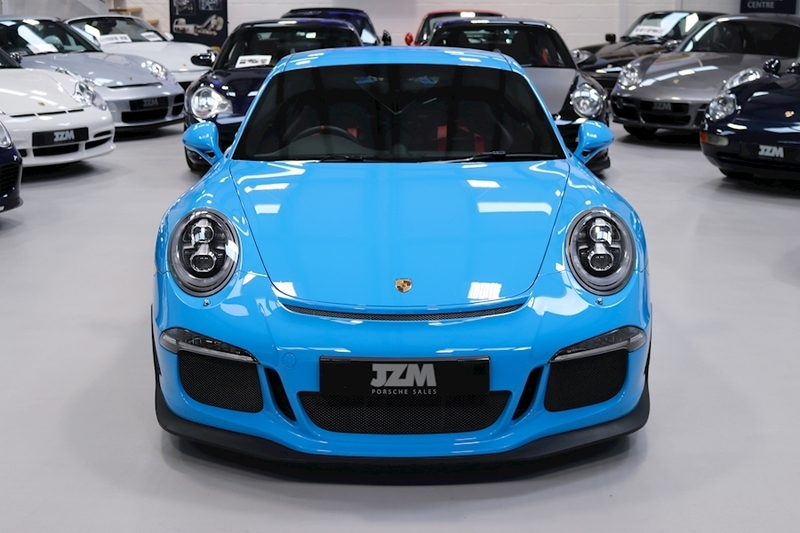 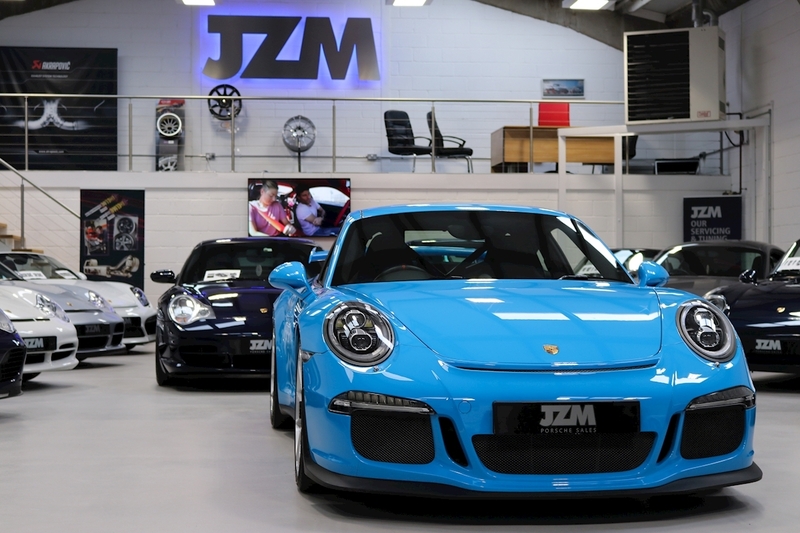 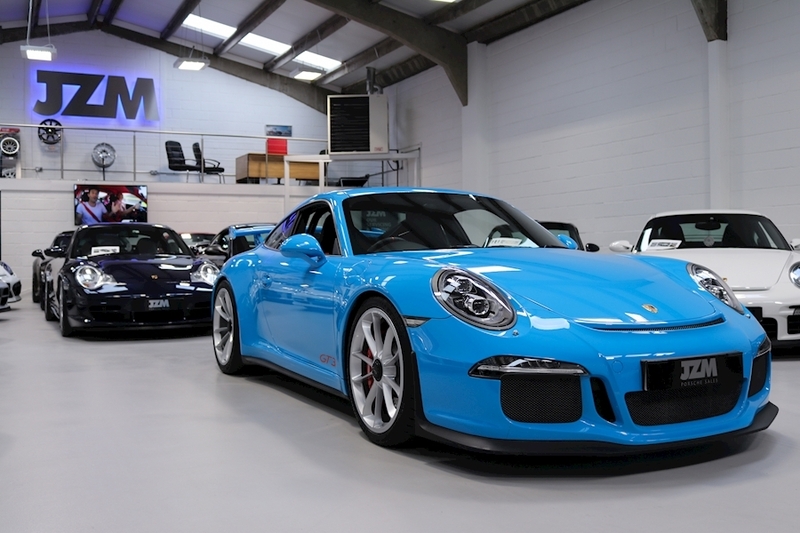 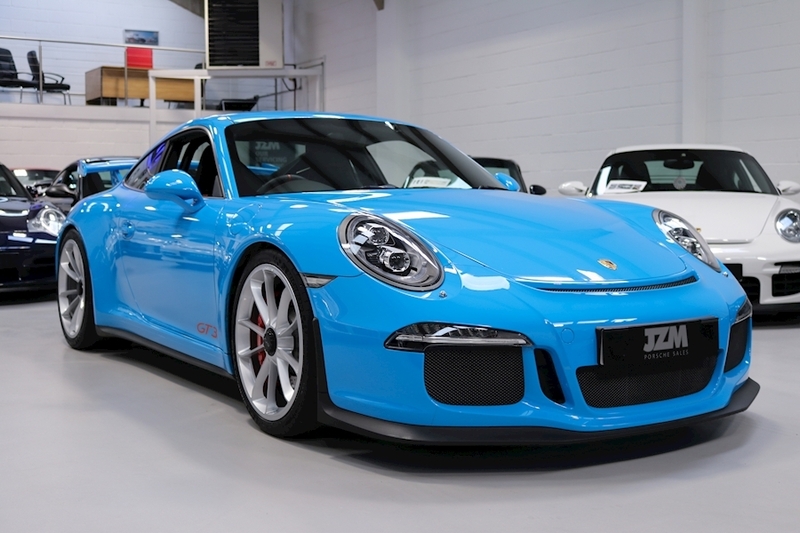 JZM are proud to offer for sale this stunning 991 GT3 Clubsport in paint to sample Riviera Blue. 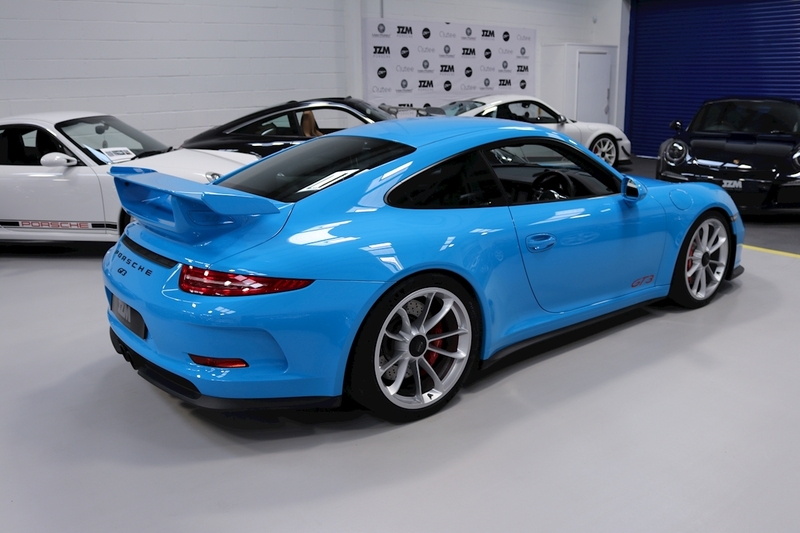 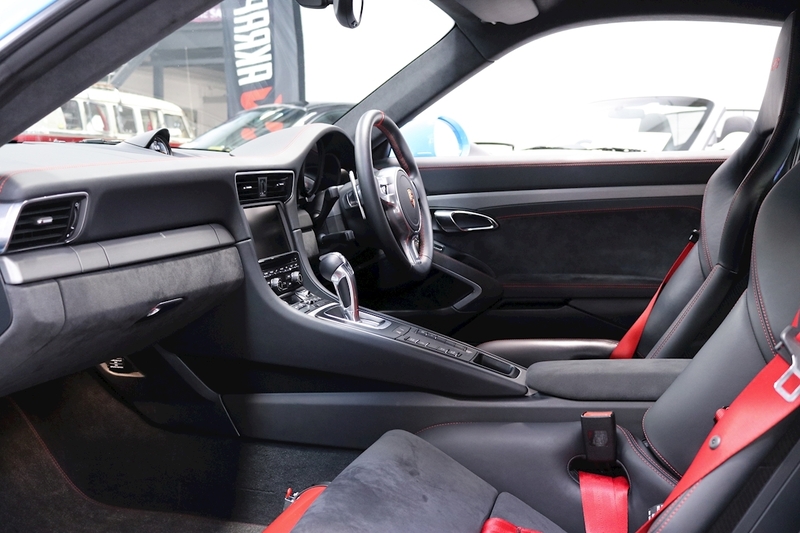 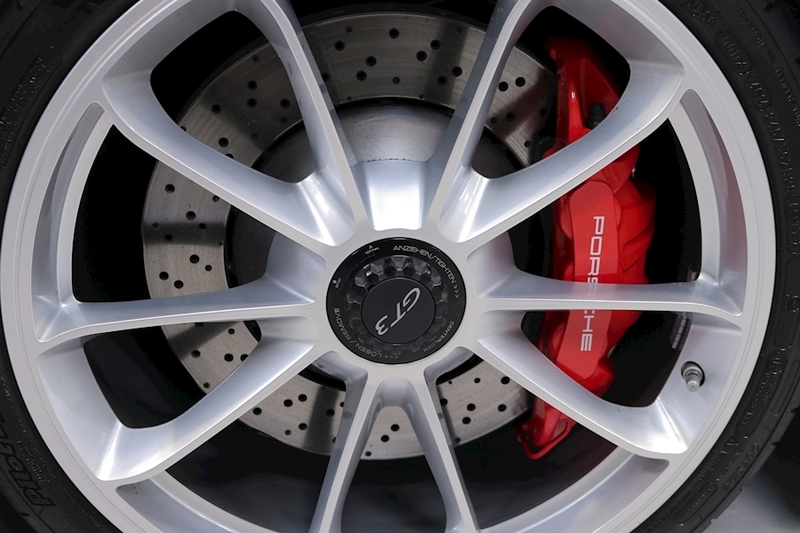 This GT3 is supplied with a fantastic array of factory options and includes Front Axle Lift! 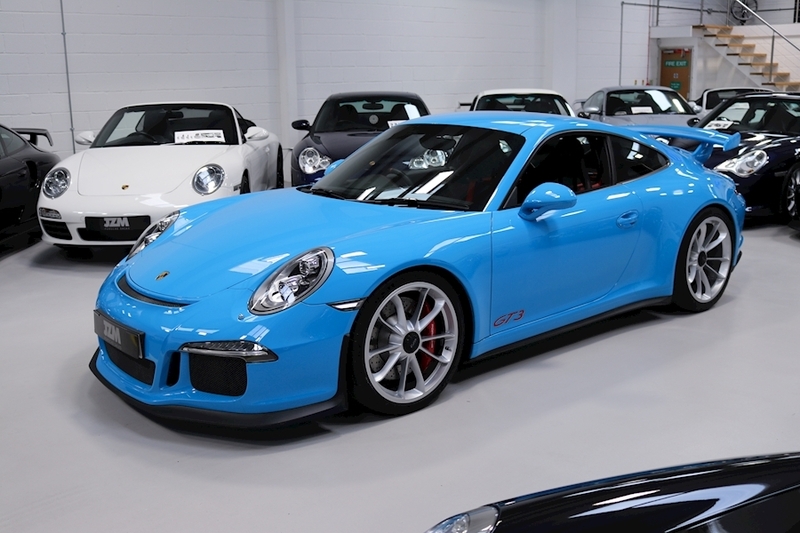 A beautiful example supplied in arguably the most exciting colour of recent times for any GT product. 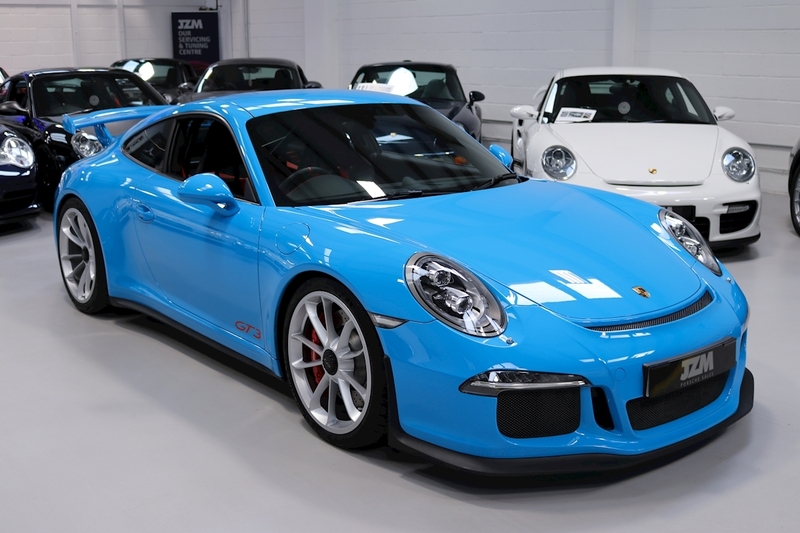 This car really needs to be seen to be truly appreciated…………….! 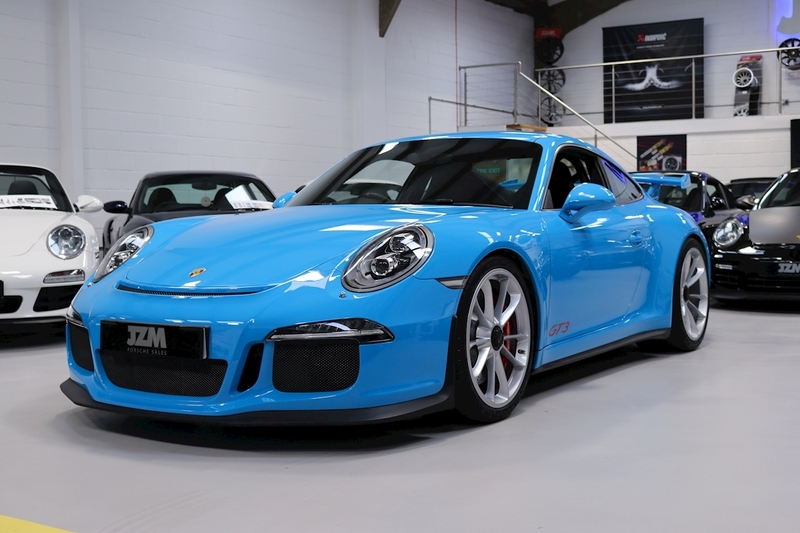 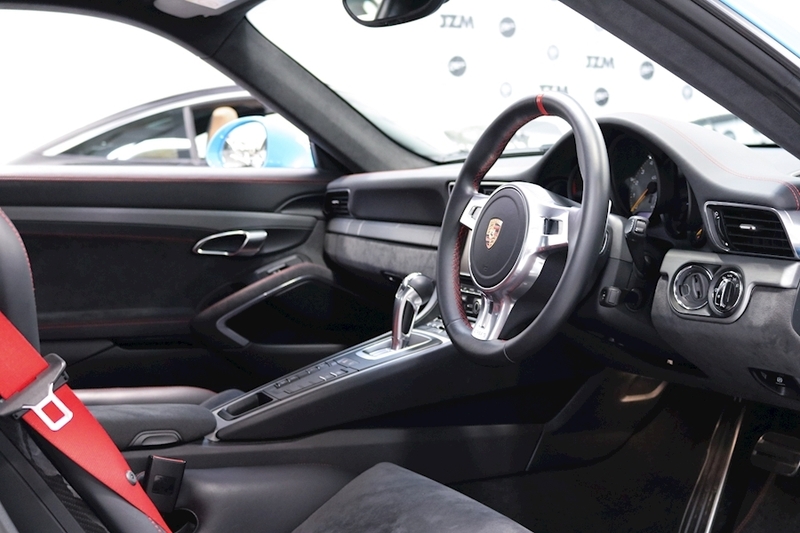 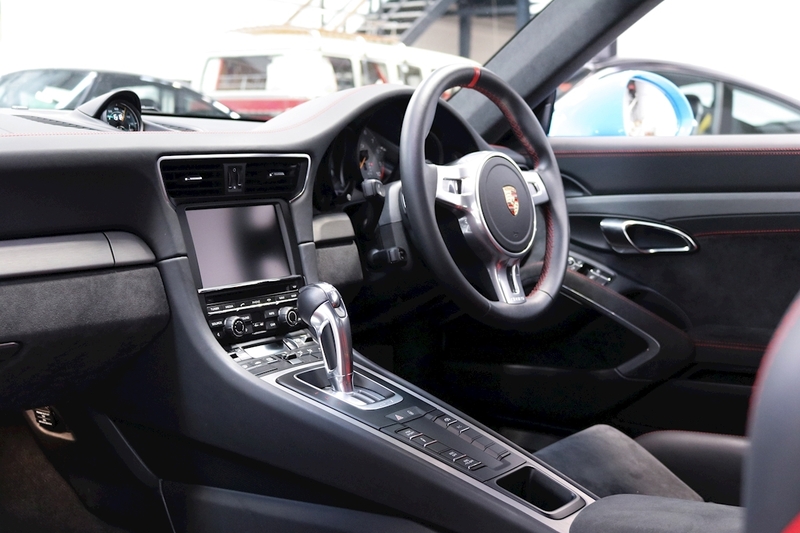 Originally Supplied By Porsche Centre Swindon First Registered During March 2015 Full Official Porsche Service History 1 Owner from New PDK Transmission Sports Steering Wheel With PDK Paddles Riviera Blue (Paint To Sample) Extended Leather With Red Stitching Club Sport package Drive & Passenger 6-Point Harness Carbon Folding Bucket Seats L.E.D Headlights With Dynamic Cornering Light Plus PDLS Front Axel Lifting System PCM 3 Navigation Module PCM3 Telephone Module (Bluetooth Connectivity) Sport Chrono Package Plus Track App Sound Package Plus DAB Digital Radio Reception Universal Multimedia Interface SEAT BELTS IN GUARDS RED Air Conditioning Cruise Control Door Entry Guards Stainless Steel Illuminated Auto Dimming Interior Mirror Rain Sensor Centre Console In Brushed Aluminium Dashboard Trim In Brushed Aluminium PDK Gear Selector In Leather.